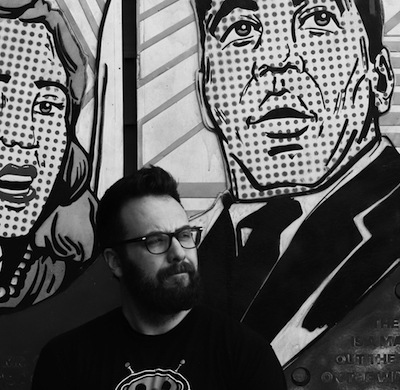 This week we bring you a digital interview Brian Kappel of spacemonkeydesigns.com, a visual artists, designer & agency refuge. From retail design to customization and event ideation, Brian has brought his passion for design and his drive for unique experiences to projects for over a decade. What makes Brian a Six Figure Freelancer? Great question, and one that I constantly wrestle with. I think what separates me from others, or what makes my clients come back is my obsession with turning out the best work in the shortest amount of time possible. My years in the agency world helped me to understand the pace of the work necessary to keep things moving forward. I don't compromise the integrity of the quality of "big ideas" I just self vet concepts in order to arrive at a solution that not only check the boxes for the client, but exposes other thought tangents and opportunities that those solutions may create. I don't say NO much, and I don't miss deadlines. Clients often ask what my sleep habits are, and in reality I wouldn't call them habits, as there is no pattern. There are times that sleep is plentiful, and other times, it is a short break between projects. I have a degree in drawing and painting. Visual arts has always been my thing, and in reality when I graduated from college it was a transition period from analog to digital. I came out of school in '98, I think I worked on Photoshop 1 and Illustrator wasn't around yet. When I got my first job at NIKE, instead of a design role, I started as a production artist. I created line art, schematics, and basic catalog layouts. This was really invaluable because it taught me the software, but in creating schematics for the apparel graphic designers, I learned how good designers create graphics. It was a kind of on the job training that I needed. What I brought to the table was this blue collar approach of "Get SH*T done", so I was taking on large amounts of work. The deal I struck was that if I finished my PA work, I could work on graphic tees, and I became one of the only production artists who actually had tees going to market, as a couple of great designers mentored me, and made sure that my designs were getting in front of the right people. From NIKE, I realized there was a bigger design world out there that I was not getting exposure to, so I made the somewhat gut wrenching decision to leave NIKE and jump into the agency world. This move forced me to develop appreciations and skill sets in not just 2D design, but 3D design, and most importantly acquiring an appreciation for how ALL disciplines work together. Holistic design solutions are like a well crafted sculpture or piece of architecture, no matter how you approach it, your interaction is well curated and thought out. My entire professional career, I have done freelance work. Working after hours, late into the night, or early into the morning, or the nights where they ran into each other, allowed my wife to stay home with our kids. Just as important though, it taught me to hustle. This piece is vital in the freelance world. You have to always be hustling, not just to hit deadlines, but to take the time to innovate your approach, build your ethos, try, fail, try again, and fail harder. It is the dance that you have to be ready to do in order to be a freelancer. 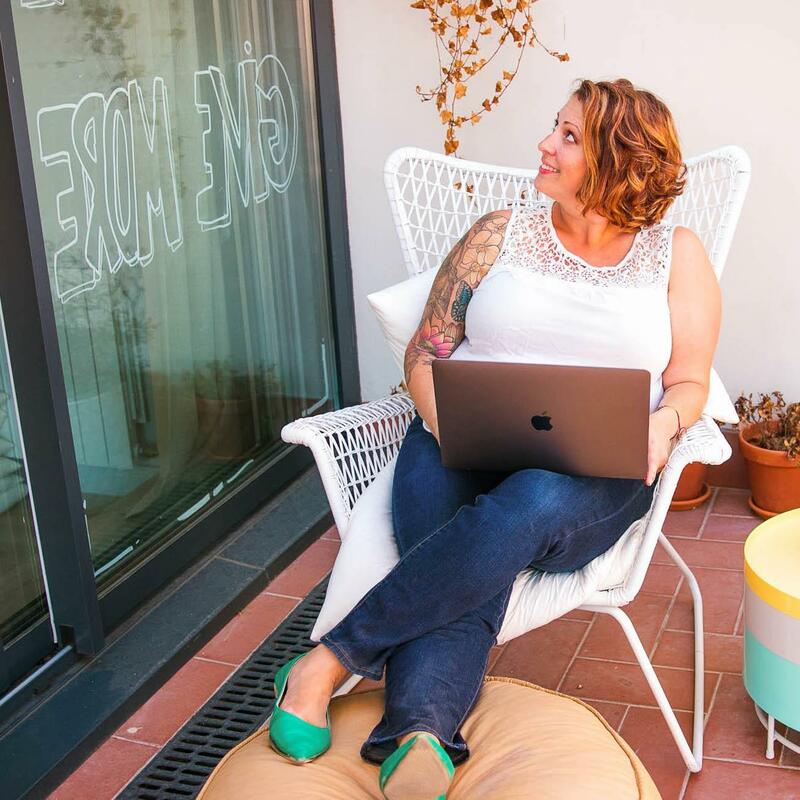 When I got to a point in my career that I had good solid connections, in a variety of places, doing a variety of work, I began to float the notion of my impending full time freelance status update by people. When the responses shifted from "really?!" to "I would totally use you," i knew it was time, and I have not looked back since. I got ahead of myself, most of this was answered above. It was a side hustle, but I have been in business for myself for 3 years straight. Before that I had been on my own for small stretches, jumping on with agencies when "life" out-paced my work load and I couldn't keep up with providing for my family. Have 4 months salary built up, 6 is a better egg to have built up, but $50k in saving is fairly unrealistic. If you have kids, especially young ones, fade more toward 6, I was out on my own when in a two day span my AC/Furnace blew, followed by the hot water heater, followed by a project that flopped, and my daughter needed braces. It just about ended me, and had I not had money saved up, things would have gotten ugly. When you make the decision to jump, separate your business from your personal expenses, get quickbooks, track everything and pay your quarterly taxes. I work on all facets of design. I work on brand identity, brand building, strategic conceptual design, event design, customization, fixture design, space planning, packaging, visualization, and I still find time to paint/draw/spend time in the studio and produce everything from wooden action figures to graphic tees. I work out of my house and garage. The nice thing about technology now, I can take it all with me, so when I travel I have a laptop that keeps me connected wherever I am. Since I am all over the place, I will give the advice that I give to all younger designers that I talk with. Be the authority in your field. That is not a greenlight to be arrogant, rather think of it like a creative ninja. Know your skills, and the things that you are super good at. Be honest with yourself though, rose colored glasses will get you in more trouble than good the first time you over commit, only to under deliver. Clients who hire creatives want to be reassured that who they bring in know what they are talking about. There is a certain part of peace that is achieved when a client feels like hiring you was a good idea, because through your success they will look good. Craft your words, concepts and approach so that you are inviting your clients into your thought process, and that you listened to them, but brought your perspective to the table. Keep your contacts, don't burn bridges, show your value while you work for someone, so they will want to work with you after you leave. This answer is tied to the answer from above. All of my best clients are people that I worked with directly at companies, who are either in a position that they decide who to bring in for help, or they have started their own companies and need my kind of help. Treating people right breeds work, but it also generates referrals, when clients know that you will make them look good for passing your name along, it will strengthen that relationship, while building new ones. I have not had to market yet, but I am sure that time will be coming. Seeing things from the other side of the table is how I generally approach things. Think of how you would like to be marketed to. A 100 page deck would send me screaming out of a room. The way most people consumer information is in small portions. Keep your samples low in quantity but high in impact. Take credit for only the things that you do, and spend marketing meetings building a connection with prospective clients. People will call because they like you and your work. You have to jump in with both feet, there is no dipping a toe and only deciding to jump in when the water is the right temp. Perspective is huge, on my worst day, with zero sleep and a "To-Do" list that breaks my desk, I can still sit back and say that I am the one making the call. Being the one in charge of your destiny is where I have always found solace. I am not afraid of hard work, in fact I run toward it, but to own both the responsibility as well as the reward is what keeps me going. I have never been one who thrived while I was comfortable, I have always needed to sit on the edge of comfort and total chaos. When life leans one way or the other, I cherish the fact that I am the one in control of making sure that I get back to center, or lean one way or another depending on the day. I stay true to who I am. I am not for everyone, hell sometimes I am not for myself, but at the end of the day, I bring solutions that are true to my POV. I believe that is everyone's differentiator, there is only one you. As a creative, you see things in a different way already, own it! If you find that you are copying someone else's work, and playing it off as your own, you are not set up for bringing something new and exciting to the table. You have to always push to innovate yourself, that is the only way you will truly stand apart from others. Have the proverbial ducks in a row. Think of every NON design part of the business and have a system in place so it will all be taken care of. The more work that you put into the logistics, the less you'll have to worry about it when things come in. I hate invoicing but I have a system set up so that I know that on Fridays I do X + Y + Z, and I can go back to my creative work. Rework and Remote are two of my favorite business books, as they pretty much wrote down exactly what I was thinking when I was in the process of heading out on my own. It was a huge career validator. Quickbooks, though I know I still have a ton to learn about it, I know it can serve me better than I currently use it, but without it, I would still be invoicing with Word documents and trying to keep a ledger?! I make the calls, who to work with, who to say no to, which direction to go, and when to close the office down and go to the movies in the middle of the day. It has been so much better than I ever thought it could be. Honestly, I am reaching the point in my career where I am trying to figure out what I want to be when i grow up. There will come a point where I will hand my position over to the next generation, the newer more talented version of me with a fresh perspective. I am totally content with adopting the clay hut, crazy hermit, Jedi master of advice and experience for the new wave of creatives. I would love to shift into a time that my painting and drawing dominates my time, mentoring where and when I can, as long as my crazy advice is still relevant. If could go back to my younger self, be it 5 years ago, or 25 years ago, I would say DRAW MORE. There is ALWAYS TIME. Shrug off the things that you take so personally, in the grand scheme they are as insignificant as the people who said them. The people who make a big difference in your life pop up in times and places where you least expect, and should be embraced as the heroes that they are. Never mail it in, even the most mundane project could lead to something amazing. Brian Kappel graduated from Penn State University in 1998 with a degree in Visual Arts, specializing in drawing and painting. After graduating, Brian worked as an apparel graphic designer for NIKE, and during that time he began refining his work as a conceptual designer. 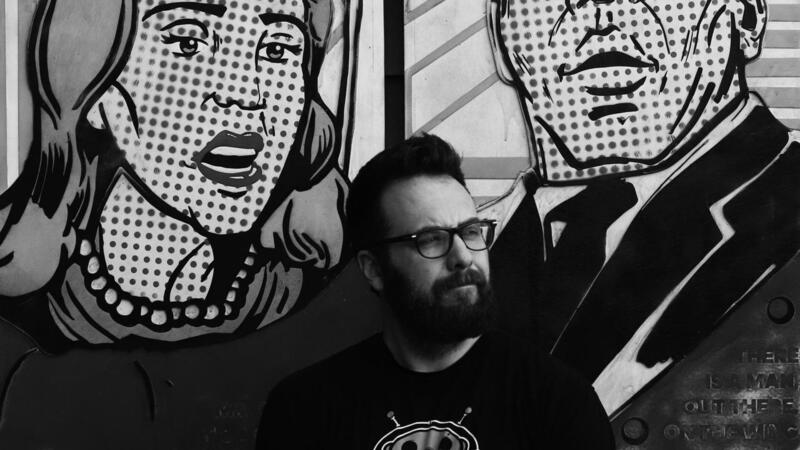 Over the next 15 years, Brian worked in the agency world as a Creative Director and Design Lead. From retail design to customization and event ideation, Brian has brought his passion for design and his drive for unique experiences to each project he works on.